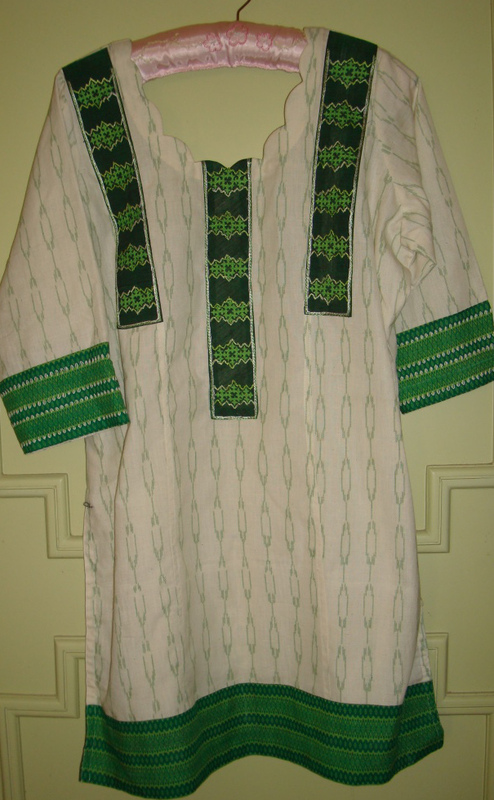 This tunic also belongs to the set of mix and match of fabrics. Two or more fabrics are matched to become a tunic along with some embroidery. 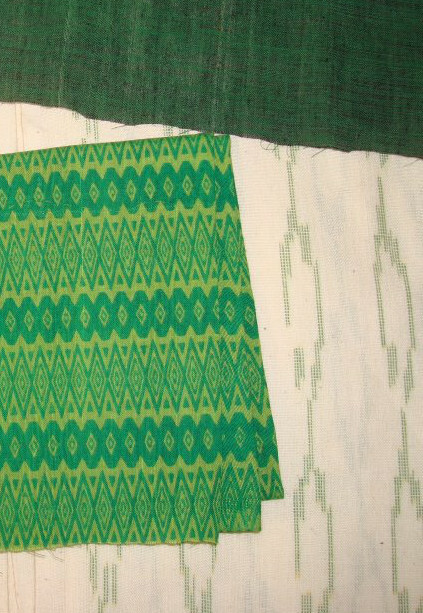 The cream fabric is handloom ikat, the dark green is plain handloom cotton and the printed green is also cotton fabric. 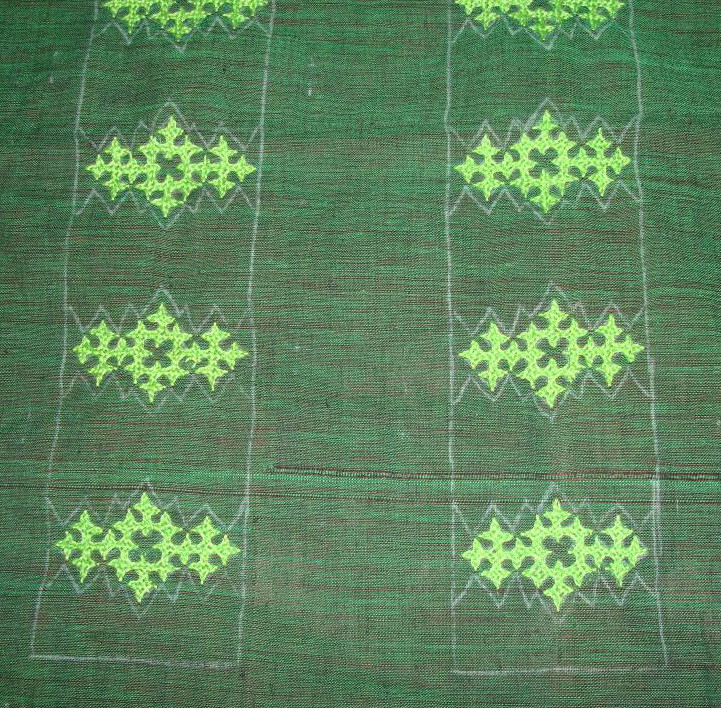 I drew a border design incorporating the kutch work and the print on green fabric. 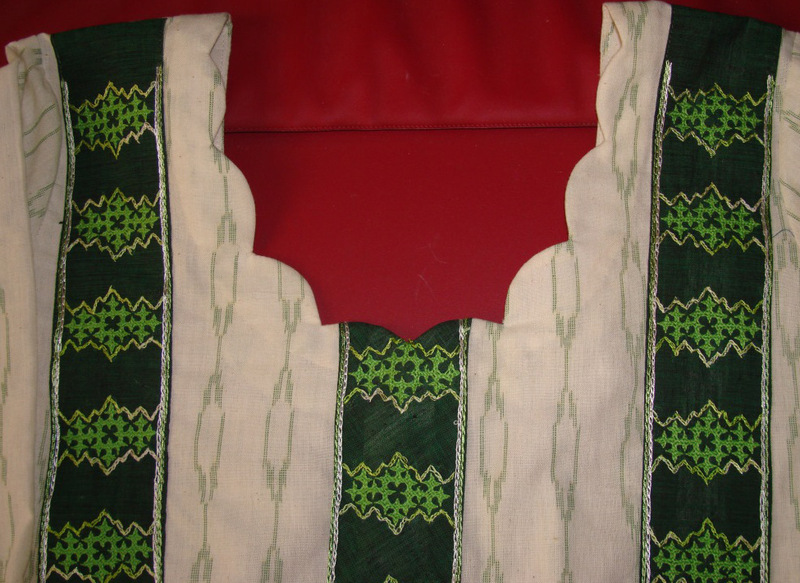 The printed green fabric was used for the sleeves and tunic border. Small fly stitches in cream were done on the sleeve border. Three borders were worked with this design. Two for the shoulders and one for the centre. 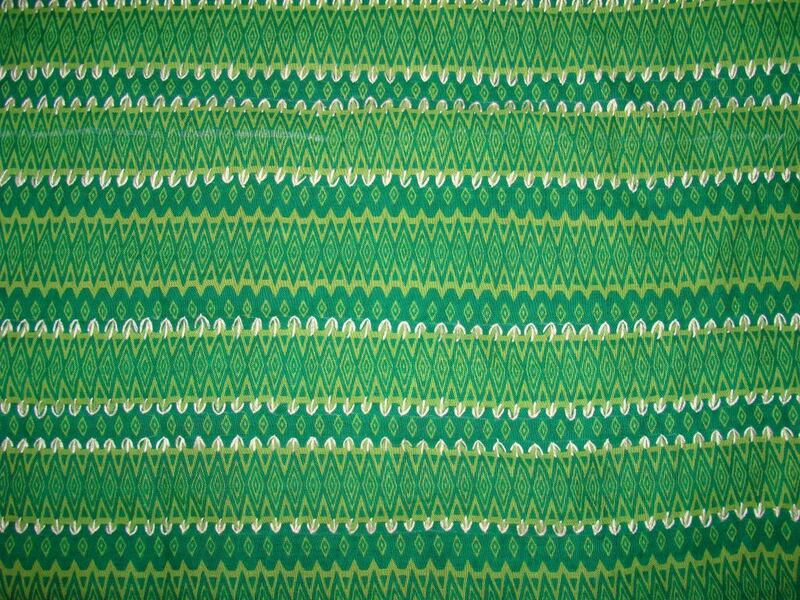 The pattern after working the kutch work in green cotton skein. I wear this tunic with cream salwar. The printed fabric could have been avoided in the front. It dominates the whole tunic.